As a kid growing up in Stockton, California, a little extra money would've meant the world to Michael Tubbs' family. Tubbs' mother worked long hours as a cashier at a Discovery Zone and still had to borrow from check cashing places to get by. "If we had $300 a month, life would be less stressful, or we could move into another neighborhood," Tubbs says. "Maybe she would've been able to go back to school and get her BA, or pursue a passion." Today, Tubbs is Stockton's 27-year-old mayor. Last week, he announced the launch of an experimental program that will give people like his mom about $500 a month, with no strings attached. 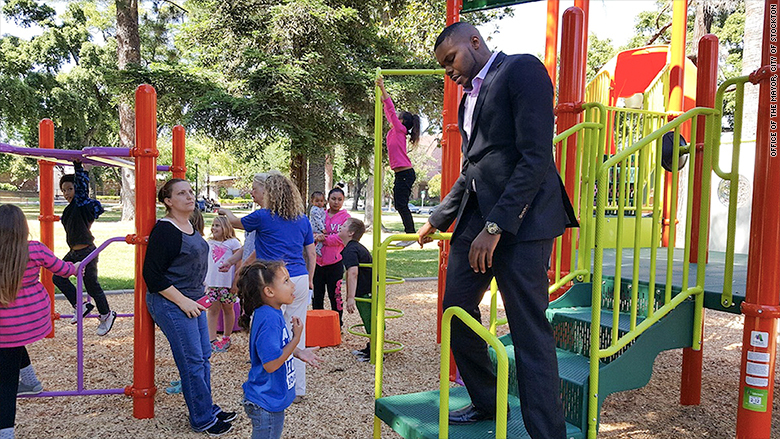 Stockton's mayor Michael Tubbs is spearheading one of the nation's first basic income experiments. Stockton hopes to launch its program next year and enroll several hundred of the city's residents for at least a couple of years, depending on the availability of funding. Related: Mark Zuckerberg supports universal basic income. What is that? In the U.S., the movement's epicenter is Silicon Valley, where inequality is stark and labor-saving technologies like self-driving cars seem just around the corner. Tech leaders, from Facebook's Mark Zuckerberg to Tesla's Elon Musk, have endorsed the idea as insurance against a jobless future. Now, some of them are putting serious money behind it. YCombinator, the tech incubator known for minting high-profile startups, is hosting academics who'll research the idea using a control group and a random selection of approximately 3,000 participants in Oakland, California starting next year. "There was not significant money in the space before" these groups got involved, says longtime advocate Jim Pugh, a robotics PhD who runs a tech and analytics firm that serves progressive causes. "It was definitely a significant uptick." Rather than a research paper, Stockton is planning a media campaign featuring program participants talking about their experiences. "Alongside the data, we need stories," says Natalie Foster, a co-founder of the Economic Security Project. Backers hope larger cities and states will eventually adopt universal basic income programs, much like they've passed higher minimum wages and paid family leave laws while federal action has stalled. The hope is that, pressure would build to take the program nationwide. That approach has attracted support from libertarians, who see a single-payment safety net as less bureaucratic and more market-friendly than the current alphabet soup of government programs. Conservative political scientist Charles Murray, known for his "bell curve" theory about the relationship between intelligence and income, is among UBI's leading proponents. "The risk is high that under any UBI that could conceivably gain traction politically, tens of millions of poor people would likely end up worse off," wrote Robert Greenstein, the president of the Center on Budget and Policy Priorities, in a blog post last month. Left-leaning supporters insist that universal basic income should be an add-on to the existing safety net, not a replacement. But that assurance hasn't firmed up support across the aisle. "That seems to rest on a thin theory of how one develops a work ethic — that it takes either hunger or suffering or poverty or fear," says political scientist and Economic Security Project co-founder Dorian Warren. A recent review of decades of research on basic income-like programs in the U.S. and Canada found that, in most cases, participants reduce their work hours only slightly. 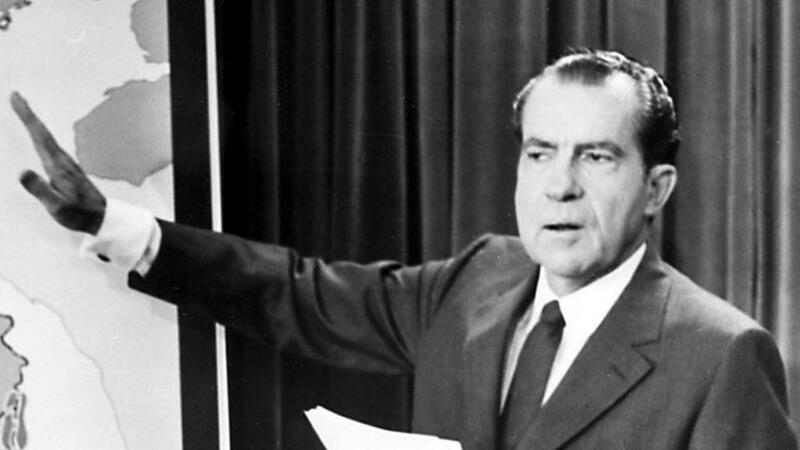 "My constituents in Stockton are incredibly resourceful, intelligent and hardworking," he says. "And oftentimes all they need is an opportunity."